After submitting the form, you will be forwarded to our payments page. Note that your request will not be actioned until payment is received. Our service is inexpensive but it is not free. We aim to give a good service to paying customers, with the assurance of our money-back guarantee: If we are not able to supply the factory-set code for your unit, we will explain why and offer some options, and we promise to refund you, less just a small 45p transaction fee. You will need to pull the radio from the dashboard to read the serial number from its chassis - this will be on a printed label, engraved on the metal case, or both. Most of the units fitted to Fiat are extracted using 'keys' - if this is the case with yours, you will see small slots each side of the faciaplate. Don't be tempted to try removing the radio another way or force it as you may damage the surrounding dashboard trim. 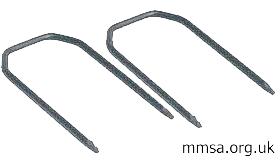 The keys make it very easy - you can find them in motoring stores or online (most Fiat radios require the commonly used DIN type release keys shown here, but there are 2 or 3 different types so ensure you buy the correct ones). 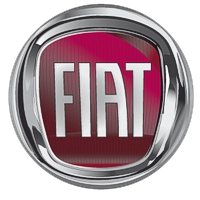 Please Note: Magnetti-Morelli Sat-Nav models fitted to Fiat cannot be decoded by us - you will need to revert to an authorised Fiat service agent.